The discount is only available for adult 48-hour tickets purchased online. The regular price is USD49. A 24 hour adult ticket costs USD41. Children’s tickets cost USD23 for 24-hours or USD31 for 48-hours. The Family Pass costs USD106 for 24-hours or USD129 for 48-hours. 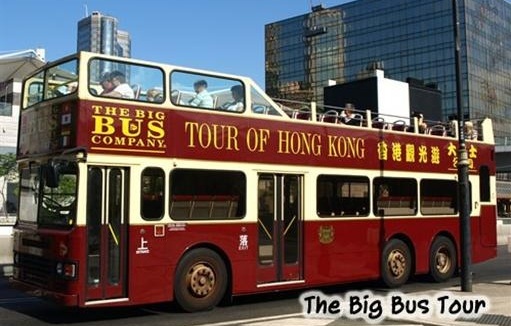 The Big Bus is the most tourist-friendly way to explore Hong Kong. This hop-on, hop-off service visits the city’s top attractions including the Man Mo Taoist temple, Victoria Peak, Causeway Bay, the Ladies Market, Golden Bauhinia Square, Repulse Bay, and Stanley Market. The price also includes tickets for the Harbor ferry, tram to Victoria Peak, and a ride on a traditional ‘sampan’ boat in Aberdeen. The audio commentary is available in 10 languages including Mandarin, Cantonese, English, Japanese, Korean, French, German, Italian, Spanish and Russian. 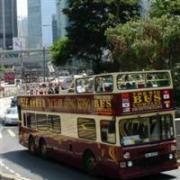 Visit http://www.bigbustours.com/eng/hongkong/ for more information.